The bridesmaids are part of the bridal party, they are usually family members or close friends of the bride. 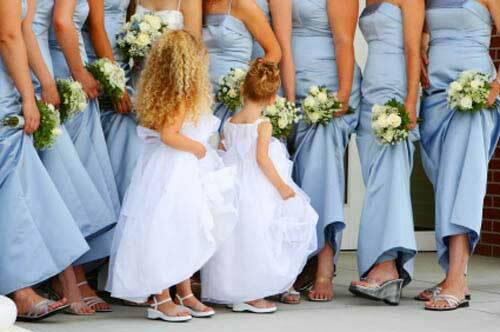 The number of bridesmaids depends on the size and cost of the wedding. The bride may have sleepless nights making the decision of her supporting cast. She knows that who ever she picks to join her bridal party will honour their duties, responsibilities and some costs during the course of the wedding.